Slate Black Patina is a versatile and unique finish for use on iron, steel, stainless steel, aluminum, bronze, brass, or copper. Applied hot, Slate Black will create a deep brown patina on aluminum and a red-green finish on stainless steel. On iron, steel, and nonferrous metals, Slate Black will form a black patina when applied cold. 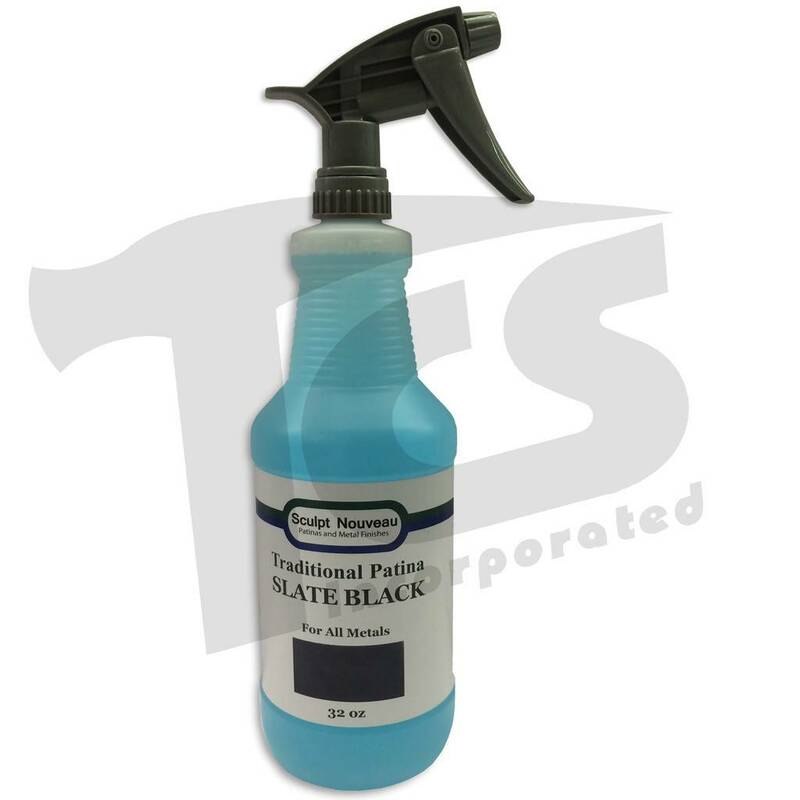 Before applying this patina, sandblasting or sanding is required to clean the surface of oil, oxides, and residues. 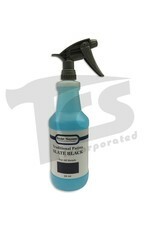 Slate Black may be applied as a spray or in an immersion process. Depending on the application method chosen, the results will range from a uniform solid color to a layered textured appearance. 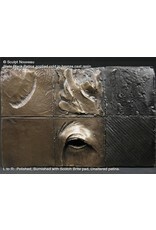 Slate Black Patina may be diluted up to 50% with distilled water depending on the desired strength of finish. The finish may be burnished wet or dry. 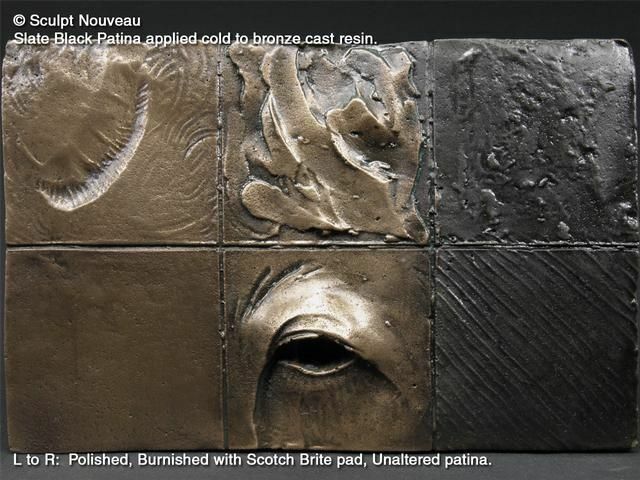 Additional patinas can be layered over a Slate Black base. When dry, protect the finish with multiple coats of a clear sealer.